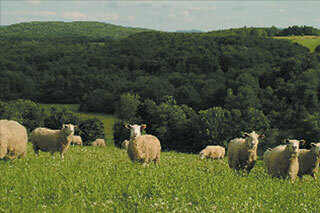 Over the years our flock of 300 prima dona ewes, their nine rams and hundreds of lambs have raised us to satisfy their every need. They require that we stay up all night during birthing to attend to breach births, plugged teats, or the occasional preemie, and to make a cozy corner of hay for each new mom and her lambs. Later, they employ us shepherds to run a lamb day care on the big flat field after the lambs have grown out of their cute stage and have become annoying, boisterous adolescents with sharp teeth. 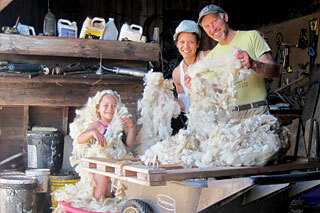 At winter’s end, the sheep’s schedule for us includes a hair job (shearing), and a pedicure (hoof trim). 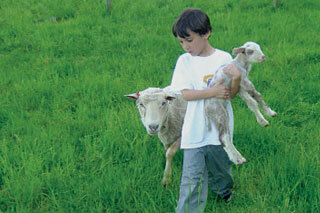 Come summer, the ewes baa for us to make a new pasture after each milking, two pastures for each day of every month. In exchange, the sheep care for us, giving wool to keep us warm, milk and meat so we may live a long life and produce young shepherds who will be here to meet the sheep’s’ needs for generations to come.